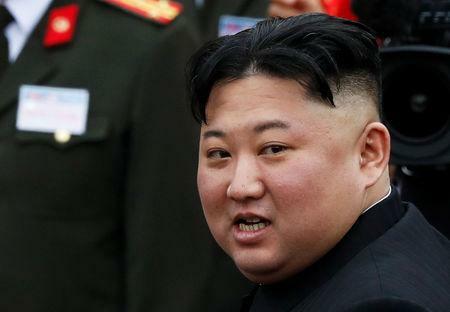 WASHINGTON (Reuters) - A dissident organization committed to overthrowing North Korean leader Kim Jong Un was behind a raid on the North Korean embassy in Spain last month, The Washington Post reported on Friday, quoting people familiar with the planning and execution of the mission. The newspaper, which did not further identify its sources, identified the group as Cheollima Civil Defense, which also goes by the name Free Joseon. It said the group came to prominence in 2017 after evacuating a nephew of Kim from Macau when potential threats to his life surfaced. The Post's sources said the group did not act in coordination with any governments and U.S. intelligence agencies would have been especially reluctant to be involved given the sensitive timing of the mission ahead of a second summit between Kim and U.S. President Donald Trump in Hanoi from Feb. 27-28. According to Spanish media accounts, broadly confirmed by a Spanish Foreign Ministry source, a group of unidentified men entered North Korea's embassy in Madrid on Feb. 22, bound and gagged staff, and drove off four hours later with computers. There has been no claim of responsibility. The dissident group identified by the Washington Post could not be reached for comment and its purported website has made no mention of any involvement in the raid. On Feb. 25 the website posted a statement saying the group had "received a request for help from comrades in a certain Western country" and that "it was a highly dangerous situation but (we) responded." The group said an important announcement would be coming that week, but no details of any operation have been released. The Madrid embassy is where North Korea's chief working-level negotiator in talks with the United States, Kim Hyok Chol, was ambassador until 2017. Intelligence experts said computers and phones reportedly seized in the raid would be eagerly sought by foreign intelligence agencies given the information they might contain on Kim Hyok Chol and others. Asked about the Washington Post report, the U.S. State Department referred queries to the Spanish authorities. The CIA declined to comment.